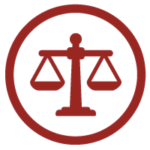 At Robinson Attorneys, PC, we are prepared to serve the interests of our clients who are involved in a civil litigation matter. We have successfully represented clients in matters before federal, state, and local trial courts. Whether you are involved in a basic business dispute or complex intellectual property litigation, we can help. We understand the stress of litigation, which is why we encourage our clients to let us handle the litigation while they stay focused on everything else. If you are engaged in litigation, or anticipate that you will in the future, contact us to schedule a consultation. Civil litigation matters are generally billed at an hourly rate of $285 for work performed by attorneys. Work performed by professional staff and clerks will be billed at an hourly rate of $150. We will agree to a contingency fee arrangement with clients under appropriate circumstances.